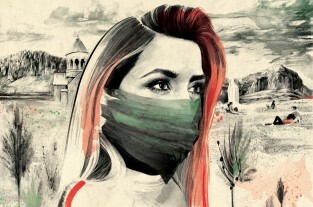 Iranian women are much more than their own country and the West perceive them to be. A new project by London-based Iranian photographer Keymea Yazdanian reveals the truth. 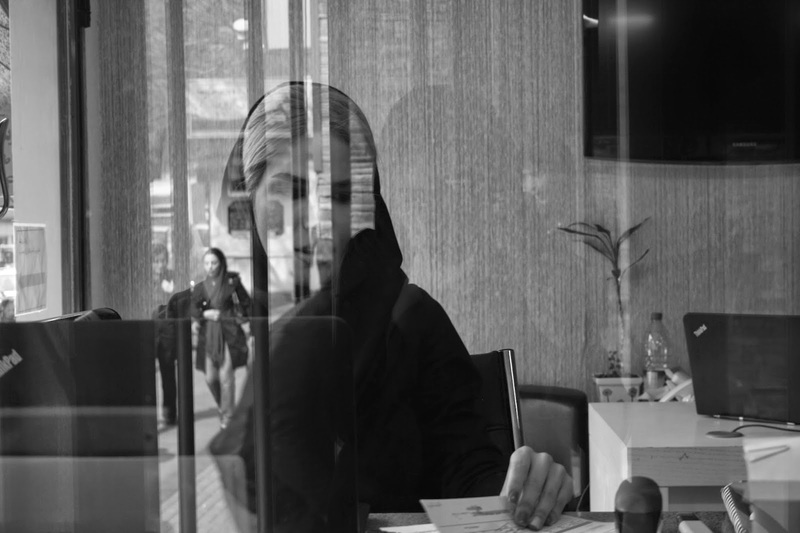 Women in Iran are scrutinised on all sides. To the Islamic Republic of Iran, who rule in accordance with sharia law, they are partially treated as second citizens and reminded of it every time they leave their house. To the West, they are partially treated as nothing more than veiled victims, helpless, and in dire need of ‘saving’. But Iranian women are more than these things: they are also activists and astronauts, surfers, snowboarders, academics and revolutionaries. And now a new project by London-based Iranian photographer Keymea Yazdanian aims to present a totally different perspective. 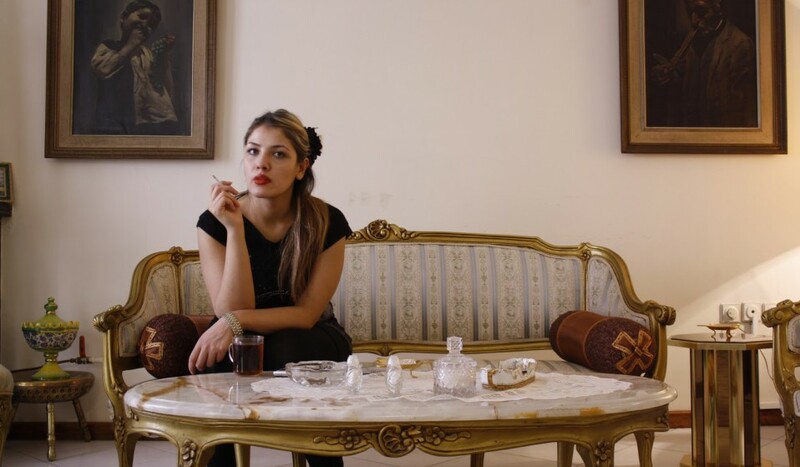 By photographing women without the hijab in their private spaces, Keymea hopes to show the reality of life for Iranian women, who are subverting expectations and revolutionising life in creative new ways. We caught up with Keymea to find out more. When did you start working on your women in Iran project? 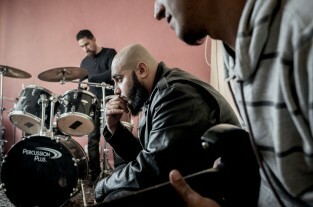 The roots of this project started during my undergrad degree at Goldsmiths around 2008. I became interested in cultural identities and focused most of my work on Iran as that’s where I originate from. My parents had moved to London prior to the Iranian Revolution and raised me and my sister here in the UK. We were therefore afforded the freedoms of the West. But I would like to think that if I stayed in Iran and I had the same fate as all those wonderful people I see there that I would have the same amount of courage, integrity and resilience to push my way forward through the deeply complex society that does exist. I started focusing on the lives of women in 2011. Predominantly in private spaces. I found a different sort of sensibility emerge from their demeanour when they were in these places. Somewhere hidden and away from the male gaze. Somewhere they could literally and metaphorically unveil themselves without threat or judgement. What did you want to explore? I remember being struck by attitudes to, and connotations about, Iranian people, particularly women, as I became older. I noticed how different it was to the realities that I knew and had experienced as an Iranian myself. I became specifically interested in the lives of women initially because quite simply I am one! It started as a defence mechanism I guess. People automatically reacting to me being Iranian by saying things like: “Don’t you feel ashamed and angry you to have to cover up?” “You can’t drive or vote in Iran how horrible!” A lot of the information being given back to me was incorrect and irrelevant. Yes there are huge problems but I also love being Iranian. I love Iran and there are a hell of a lot of wonderful things happening there. The country and cultural identity was being perceived in a specific way that blocked out the whole picture and just presented a fraction of it. The worst part. Ultimately the Islamic Republic of Iran does not have equal treatment of women. 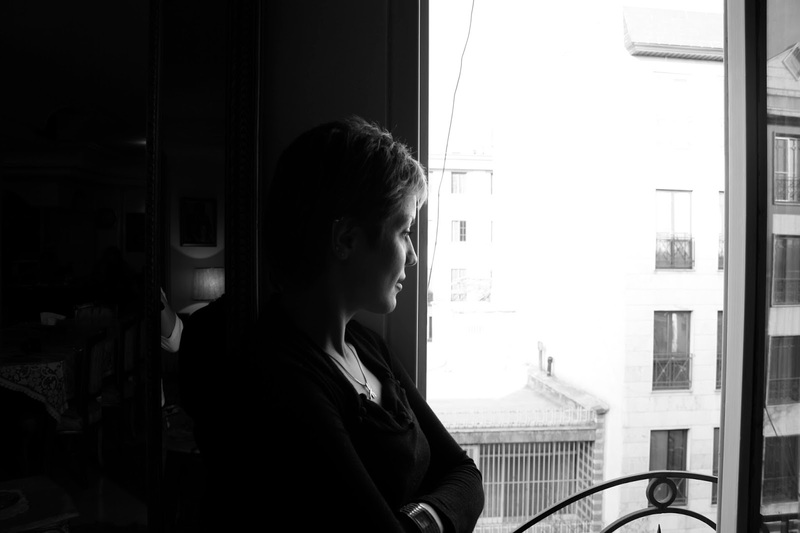 Women are repressed and sometimes faced with terrible often tragic circumstances of living. But what fascinates me is how outstanding and brave I find these women to be within a society that misrepresents them. I started studying different social, political and cultural realities of other Middle Eastern countries and I found that Iran stood out; historically and socially. In Iran, despite the barriers that stand in the way, many women have achieved wonderful things. We can look at women like Golshifteh Farahani (singer/ actress), Newsha Tavakolian (photographer/artist/journalist) Makhmalbaf (filmmaker/director) Anousheh Ansari (astronaut), Maryam Mirzakhani (Nobel Prize winner for mathematics), Shirin Ebadi (human rights lawyer), and Zahra Nematic (Olympic gold medalist). They are all making profound contributions to the world through art, film, science, activism etc. They are shaping an alternative vision of Iran as well as influencing change. In countries that make it harder to act people can either cower away or fight back. I want to show how Women in Iran fight back. I want to show their resilience! Their power and their pain! 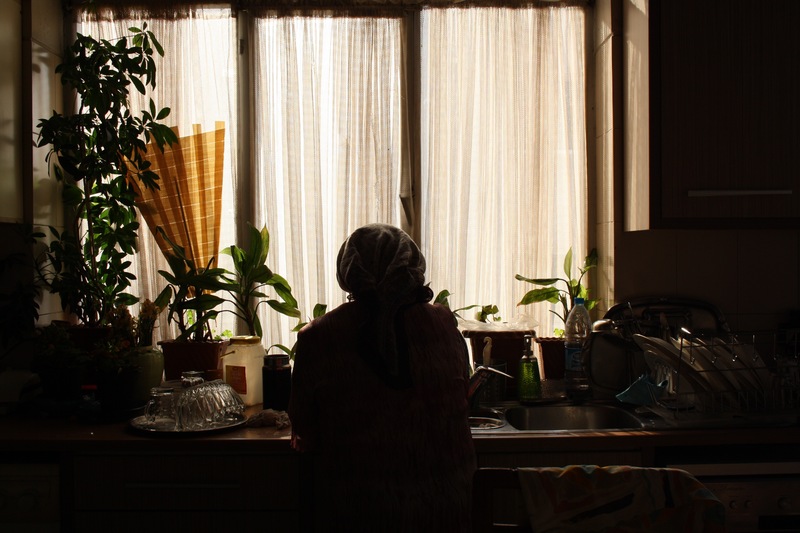 How do the lives of women in Iran compare with those in Britain? No matter who we are, where we are from, or our circumstances in life, we all grow up and want to experiment in the same way; exploring our options, futures, surroundings, sexualities and ideologies. 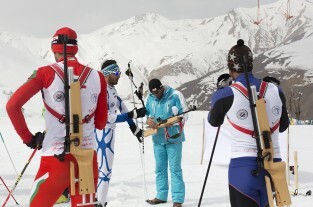 People in Iran do that no differently to people who live in North London. The point of difference is, and this is what I find so fascinating, is what the women in Iran have to endure and risk in order to experience those same sensations. What I aim to break down is the conception that women in Iran are passive, uneducated, burdened and repressed individuals who are longing for their freedom to be handed to them so they can live life like we do in the West. The fact is that they are already doing that; and it’s coming from a place within their own soil and is based on their own country and culture. Have things changed much in the last ten years do you think? From my experience Iran has changed. Very subtly but surely. For better and also for worse. My family are from Tehran and it’s where I spend most of my time when I am there. The city is growing uncontrollably! Pollution, international sanctions, theocratic rule, economic breakdown, poverty, corruption.. all these aspects are making daily life in Iran inexplicably hard, often unbearable. However, from another perspective, and one that I aim to explore more in my work, is that despite all the problems people face they are determined to not let it get in the way of their growth and modernisation. Particularly young people. Iran cannot support another revolution with war and bloodshed. What the Iranian people are doing instead is creating their revolution underground. They are working with and through their own system to create change. Young people are using modern technology and communication to create the change they want to see. They are using their passion, ingenuity and courage to communicate with one another and with the rest of the world. Iran today has one of the largest percentages of young people in the world. The generation that was born into the Islamic Regime is a generation that has been denied the most, but also that has had the most lasting and profound effect on changing the system – The Burnt Generation. Women still face huge issues in terms of rights and equality. They do not hold the same rights as a man. There is still Sharia law and women face huge injustices in their daily lives. However, despite this enormous unbalance there are statistics that prove how well women are doing. For instance there are more women studying in universities than men currently in Iran. Most people are utterly shocked when I tell them that. Do you think it’s going to change a lot in the future? I think things are in the process of changing. In a big way. For me personally the best way this is happening is through culture; through art, film, music, travel, journalism. With the aid of 21st century technology and global communication the platform for these movements has become all encompassing. If you want to know the right information it’s out there. Today people (I hope) are really able to log into information outlets that speak the truth that give them an alternative and more genuine impression of what’s happening in the world around us, more so than mass media does. After the events in 2009, and the violent backlash perpetrated on the protesting youths of the country, many people came to the realisation that change was not going to happen overnight. Instead, the people of Iran found alternative and more subtle methods of interrupting and spreading their political, social and personal concerns and desires. Do you think Islam or the government is the cause of oppression for women in Iran? Yes and no. Obviously the two factor in, but also it has to do with how they have become ingrained into society, from a historical and cultural sense as well. Although there is much to be said about both issues in Iran, as I was raised in a very secular way, I feel I do not have the correct knowledge to share my opinions on Islam. In Iran as in many other countries there are forces that effect the lives of its citizens whether it’s religion or politics. What I want to do, essentially, is to highlight what is happening in Iranian society regardless of the oppression they face. Do you think while sharia law is in place Iranian women will always be oppressed? Yes! Although I don’t feel comfortable making bold statements about sharia law as I have not studied it as a separate entity. I have only seen a few cases when it has come up and that is mostly with divorce, which is a taboo subject in Iran anyway. What is your view of the hijab? Not a fan! The concept of it offends me personally but having to wear it by law doesn’t bother me as much as people would imagine it would. There are so many problems bigger than the hijab. But it does signify its own thing as well. It’s so insignificant for me and for most of the other Iranian women I know that it’s frustrating. The hijab has come to represent so much more than it actually does but only really in the West. Women in Iran have made the hijab look great. I have certainly noticed as the years have gone by the rules are far more relaxed. Are your subjects breaking the law being photographed without a hijab? Women only have to cover up when they are out in public. When they are at home they have the freedom to dress and behave as they like. That’s why I choose to photograph them at home as there is a side to them that is revealed when they are not bound by the Islamic uniform. If I was to show my images in Iran it would be a problem. I don’t do that! There are nonetheless still women who refuse to sit for me. The whole project has a lot to do with building the trust of the person I shoot. To familiarise them with my intentions and reasons for wanting to shoot them, and then, after that if they choose to partake it shows they are doing so because they also believe in the message it carries. Not saying that women who do not choose to reveal themselves do not hold the same values but have their own reason – to which they are fully entitled – to remain anonymous. How do you think instability in the Middle East, such as the rise of ISIS in the Syrian Civil War, affects life in Iran for women? Well in my view it has made it worse. The emotional and psychological damages are worse than any concrete political ones. Obviously this ‘war on terror’ has made it considerably harder for Iranians to travel and to be educated/employed abroad. The sanctions and embargo have made trade and economic growth nigh on impossible. The most damaging thing I can see unfolding out of the instability is the way Muslims and Middle Eastern people are being seen and represented on a mass scale in the world. I find the treatment of Muslims and people from Islamic countries to be a source of great sadness. That’s why I think it’s more important than ever for people to make art, to express themselves, to make their voices heard. So that hopefully it can drown out the noise of ignorance and tolerance. What do you hope your project achieves? I hope that my project communicates a more authentic and honest and positive vision of Iran and Iranian people. I hope that people are able to make a more informed opinion about Iranian cultural identity. Iran has an old, beautiful and intricate culture, full of art and poetry. It’s sophisticated, inspiring and often tragic. All these details are not being sufficiently explored or expressed. My love for my country does not in any way shy away from or try to suffocate the fact that it has deeply rooted problems. I believe in showing Iran in all its glory and honesty – both sides of the story. I think you can see frustration in my portraits as much as you can see hope. As the years go by and I dedicate more time to this project and delve into it deeper I see whole new layers. It’s an inexhaustible subject and thats the main thing I love about it. Follow the progress of Keymea Yazdanian’s project on her blog. Do you find it hard to get up in the morning? 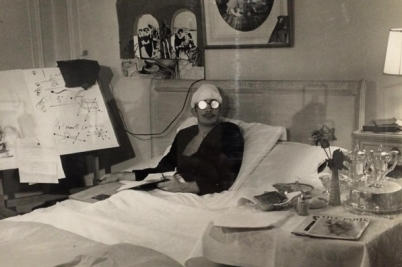 Why not take inspiration from some of the great artists in history and stay under the covers. Skiing may have arrived in Iran as early as 1938, but it's female snowboarder Mona Seraji in the year 2015 that's having the biggest cultural impact on the conservative country. 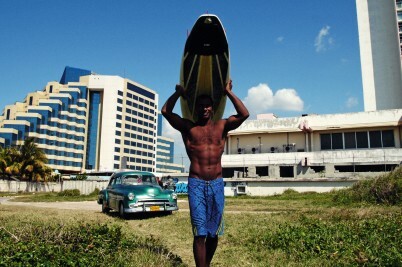 Cuban surfers are among the most dedicated in the world, risking imprisonment to find materials and relying on donations from foreigners to get boards and leashes. Never mind the blockade.